AAF loafing around Beacon St. dam in Glace Bay, NS. Photo courtesy of Allan and Cathy Murrant. Beacon St dam is a man made pond that was made for one of the coal mines. When the mine closed they planted grass and made a little park and walking track around it. The gulls roost and bathe and get food from people feeding the ducks. We had 8 species of gull there in a 15 minute period one spring. Its a real good place for ducks, geese and many rarities show up. We found [AAF] around 3pm on Oct. 3, 2011 and because we visit the dam every day I can say that was the only day we saw it. We get a lot of one day visits from gulls and we found a banded gull in November one year it was banded in Witless Bay NL we got photos of that and it came again the next year around the same time. Eight species of gulls in such a short period of time is quite impressive considering only 4 species of gulls breed in Cape Breton. Glace Bay is out near the eastern tip of Cape Breton Island which sticks far out into the Atlantic, perhaps making it an attractive stop-over site for many migrant gulls and other species. This and other reclaimed ponds could provide important roosting habitat for migrant waterbirds during long journeys. Lets hope that Allan and Cathy can provide us with more sightings before the winter freeze sets in. AAF spotted on the eastern tip of Cape Breton Island in northern Nova Scotia. Hi there! My name is Julie-Lynn Zahavich. My dad is Bill Zahavich. He has been working on a ship off of Sable Island for the past 6 weeks. He had been telling me about your research via e-mail and I just happened to stumble upon your site today while perusing the internet. I’m glad to hear you’ve been getting re-siting reports. 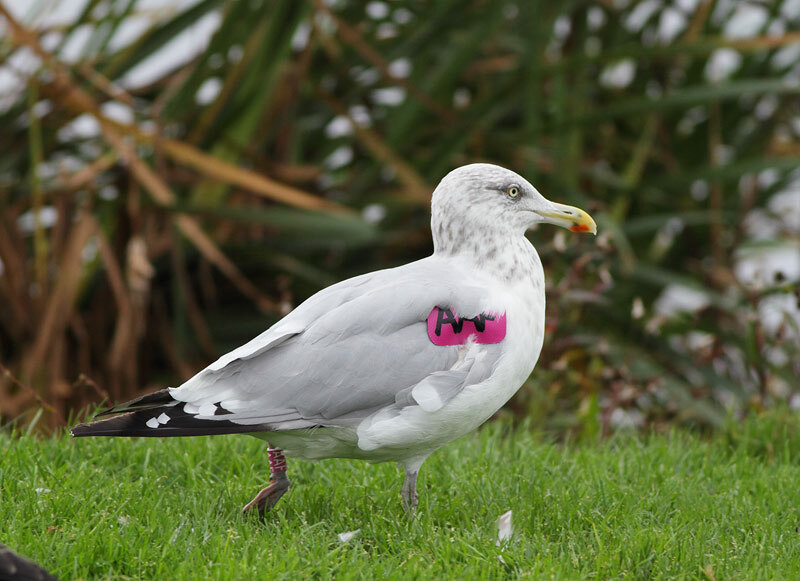 Now that I know more about your project I will keep my eyes open for any banded gulls I see. Good luck! Hi Julie-Lynn, Thanks for your interest in the project and it’s always good to have more eyes on the lookout. I’ve had lots of re-sighting reports from the folks working on ships off of Sable…lots of these reports were from your dad! 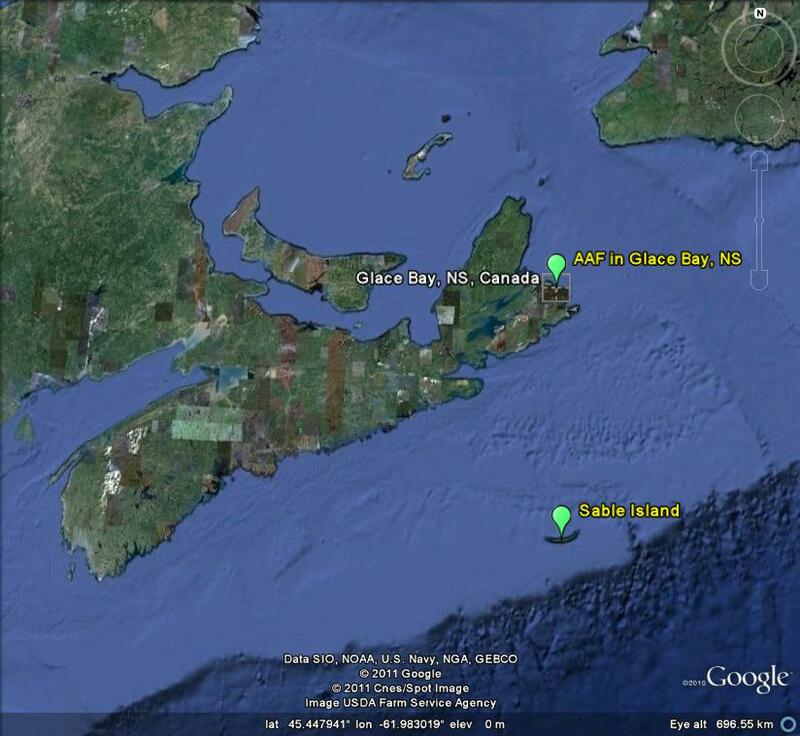 I hope to soon put a blog entry together about these reports from the offshore supply vessels. Stay tuned.